There are a lot of articles online that love telling you how you should blog. This isn’t a bad thing – we’ve posted a few covering the subject ourselves. 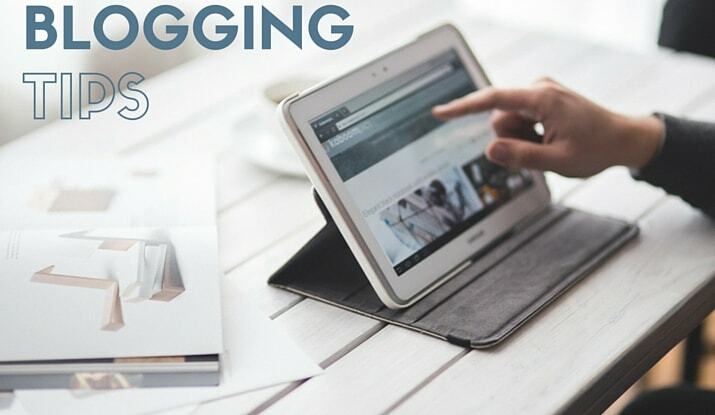 If you aren’t someone who writes or blogs professionally, blogging might be a foreign science to you, so finding tips for how to do something you aren’t the best at can be a God-send. However, blogging articles may offer you a variety of different advice – and this can be contradicting at times. Post on this day at this time – no, wait, post on this day at this time. Make lists, don’t make lists. Formulate your titles this way, that way and every other way in between. Yes, blogging advice can sometimes lead you in circles. We’ve got seven pieces of blogging advice that might be leading you astray. Maybe you can use it and succeed, but we’ve got some reasons why they may not be such great ideas after all. First of all, this kind of advice can be unrealistic. Unless you’re HubSpot or Buzzfeed, you don’t need to be a constant content circulator. Secondly, this kind of effort is wholly unnecessary. Sure, it’s important to keep on top of a project and commit to it, but you don’t have to post a piece of content every single day. And while it might be true that content posted every day can help your search engine ranks and traffic stats, but at what cost? Unless you’re a content wizard, it’s likely that if you produce a blog every single day? They won’t be quality. It’s better for your visitors to see one or two quality blog posts a week instead of SEO-geared spam that gets uploaded once a day. What’s the old saying? All publicity is good publicity? This definitely isn’t true in the world of blogging. Sure, it’s great to post content that causes debate. When you make a strong stand on an issue, you invite your supports to applaud you and your opposing audience to argue against you – and this is fine. However, many controversial blogging moments come about because of a post that’s two one-sided. Generating discussion is fine, but you have to consider both sides of an issue and acknowledge them both with sources and factual evidence. In regards to this piece of advice, descriptors like “good” are very differently defined by who you ask. Some think “good content” means content that’s entertaining. Others consider it to be informative and professional. “Good” is vague, and that doesn’t help you. Another reason this advice doesn’t always work is because good content sometimes isn’t enough to make a blog successful – and your standards of good aren’t always what is popular. Look at sites like Buzzfeed. They make lots of money cranking out articles with stolen .GIFs and barely 200 words of lists. This one is a sort of half-and-halfer. Yes, it’s good to comment on other blogs as a form of exposure and personalized conversation. At the same time, blog comments aren’t as popular as they used to be. A blog isn’t judged by how many comments it has, but by how many times it’s viewed and shared. Long story short, don’t feel like you’ve got to invest your time in being social with other bloggers on their content. One part of this phrase is true. It is important to find a niche when you start out blogging. Without one, you’re simply throwing more and more vague content into an already saturated Internet. The problem comes up when you put yourself into a box. When you find a niche and stick with it indefinitely, you don’t leave room for growth. Expansion isn’t the enemy. Going back to the first piece of advice, quantity doesn’t always beat out quality. There is a benefit to having lots of blogs in terms of Google search indexing and promotion, but it’s not worth it in the end. When you exhaust yourself and your readers with a content overload, your blog is more likely to fail. You also have to think about time management. If you’re constantly acquiring, writing and posting content that won’t be extremely valuable for you outside of some better SEO standings, what areas of your life are you missing out on? Is another area of your business lacking, or are you skipping out on family time? Content creation can easily take over your life if you let it. There’s nothing wrong with content recycling and not reinventing the wheel. If it’s not broke, don’t fix it right? This is definitely true, but don’t stick with it religiously. You need to have a varied amount of blogging content on your site in order to widen your audience pool and give the appearance that you care more about informing your audience, not sticking them with clickbait you know they’ll keep falling for.